Enjoy the party, Join Arlopus! Totally Free - Download it now and start synchronizing your music with your friends for free. Unlimited Number - Play your music simultaneously across various devices (iOS and Android). Prefect Sync with no delay - Unique synchronous music experience at the same time, anytime, anywhere. We have built our own platform “Synchronize-Us”, which enables perfect synchronizations of any number of devices among each other. Easily Syncronize on Wi-Fi; 4G/3G/Edge or by using Hotspot. Organize a Mass happening on different locations at the same time. Connect - Join and experience the best synchronous music mobile network and party with your friends all along. Music is intricately interwoven into our souls. We all enjoy feeling the rhythm, when emotion waves rush through our bodies. No matter whether you are out or travelling with your friends, you are in your office with your colleagues or outdoors on a picnic with your family - our technology works over Wi-Fi, 4G/3G/Edge or by using Hotspot. You can instantly create your own music happening and invite your friends to join. Who needs party speakers when you've got Arlopus? Arlopus - our hearts beat as one. Our technology is primarily meant to allow listening to the music on various devices within a close area, but if you are far away from your loved ones, you can also listen to the same music simultaneously and still achieve the same effect - you will feel the same beats of the music at the very moment and still get the same effect of synchronicity of your hearts. You will get the presence of your loved ones by means of music. Music gets us closer through Arlopus. 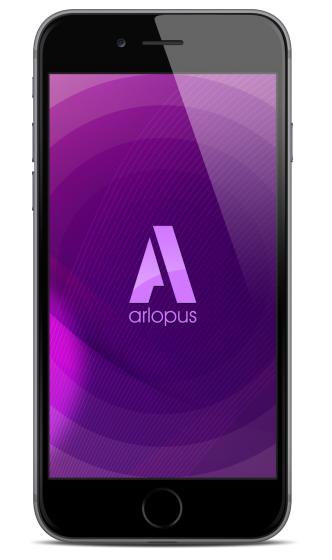 A: Arlopus is a perfect synchronous music mobile network where you can synchronize easily large number of mobile devices, all at once and in advance, so that the mobile phones can start to play the music at the same time. 2. What does the word “Arlopus” mean? A: The word “Arlopus” means a great party, fun and celebration . 3. What devices does Arlopus support? A: Arlopus works with various types of devices, including iOS and Android and supports unlimited number of participants in a happening. 4. How does Arlopus work? A: Open your Arlopus app and choose a song from your music library to create a happening. Once your happening is created, the happening will automatically show up on Arlopus home screen (Live tab). So, if your friends open the app, they can simply join the happening and party with you all along. 5. Do I need internet connection to use the app? A: The users can easily synchronize no matter whether on Wi-Fi or Edge/3G/4G or by using Hotspot. 6. How many participants can join a happening? A: The app supports unlimited number of participants to join a happening. Create a happening and feel the Arlopus . 7. Does Arlopus support synchronize music on different geo locations? A: Our technology is primarily meant to allow listening to the music on various devices within a close area, but it also manages to synchronize music on different geo locations with no delay. No matter you are in USA, or Europe or Africa, you can also listen to the same music simultaneously and still be able to achieve the same effect - you will feel the same beats of the music at the very moment and still get the same effect of synchronicity of your hearts. 8. How much does Arlopus cost? A: It is completely FREE. Visit Google Play Store or Apple Store, download it and start parting with your friends for free.